Things have changed around here. 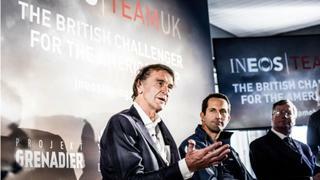 Back in late March, the British industrialist Jim Ratcliffe and I had a beer together and discussed the future of the British America’s Cup challenge. Two months later in another pub – the Prospect of Whitby in Wapping, London’s oldest riverside pub – Jim and I announced that his company Ineos will invest up to £110 million in our challenge for the 36th America’s Cup. 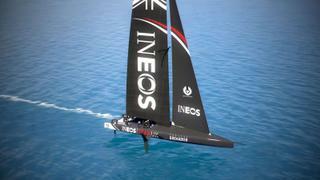 It means big things: we will launch what is effectively a new team, Ineos Team UK. The decision to go down this new route was not taken lightly. It is a massive shift from the previous model we had, with a mixture of investors and commercial partners. It became very clear, however, after the new class rule was announced by Emirates Team New Zealand, that we would need to build two 75ft foiling monohulls to truly compete. The rule is brand new and it was simply too risky to assume that we could nail the hull design first time, with no budget left to build a second boat to respond to the lessons we learn from the first hull. The need to run a two-boat campaign took the budget up significantly. We tried incredibly hard to make it work with the group of existing investors and commercial partners – to achieve the budget under that structure – but it became obvious that we were not going to reach the target. It was not long after the boat rule was officially announced on 29 March that I was introduced to Jim, the chairman, founder and major shareholder of Ineos, Britain’s biggest private company. We hit it off and Jim immediately understood the project and what was required. Amazingly, Jim agreed to underwrite the entire campaign. On his side of the deal, Jim felt – quite reasonably – that if he was going to make this huge investment in the project, he needed it to be a blank slate. I won’t lie, I had some tough conversations with the existing investors and partners. Understandably they were disappointed. Ultimately, though, this was a decision that I had to make in the best interests of the team, and they could see that this was Britain’s best chance. I cannot thank them enough for the way they reacted, in particular Sir Keith Mills, Chris Bake and Sir Charles Dunstone, along with all of our previous investors, whose investment and expertise got Ben Ainslie Racing off the ground in the first place. Basically, the new structure sees the race team entering into an agreement to provide Ineos Team UK with the boats, the team and the wherewithal to compete for the 36th America’s Cup under the Royal Yacht Squadron Racing’s flag. The race team will remain pretty much the same, with Grant Simmer as CEO and Nick Holroyd as chief designer. The core department heads – Jo Grindley running the commercial team, Jono Macbeth leading the sailing team and James Stagg in operations – will also keep pushing as hard as they ever have. Clearly, the Kiwis and Italians have had the class rule for longer. The Kiwis are in a particularly good place with their simulation abilities. They have been modelling the new boat since they came up with the concept last year, while we got the rule only at the end of March. This time around I think that simulation is a strength of ours as well – compared with where we were at this stage in the last cycle, we are light years apart. The new investment means we are in the process of signing up more sailors, and we’ll be launching our first test boat in the summer. These are incredibly exciting times for the team in Portsmouth.